Mike Pocock, long-distance cruiser, yacht designer, and former OCC Commodore has passed away. Former Ocean Cruising Club (OCC) Commodore Mike Pocock, talented naval architect and designer of Al Shaheen, Troubador, Brown Bear, Sadko, Arabesque, Tin Fish, Q2, Blackjack and Twilight amongst others, has passed away. 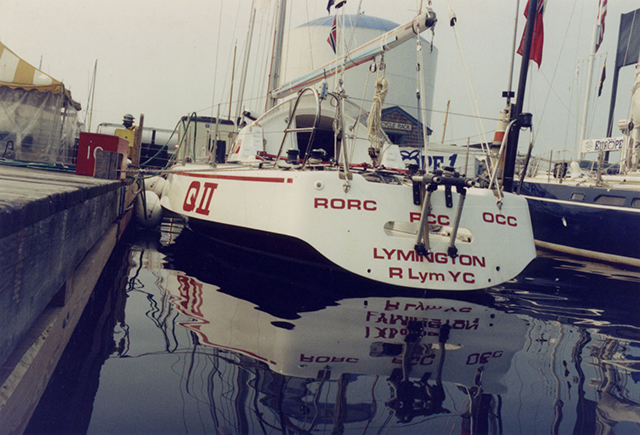 Mike, who lived in Lymington and a member of the Royal Lymington Yacht Club, was quite a force in his own modest way. He was a member of the OCC for 48 years, and was Commodore from 1999 to 2003. He also co-wrote The Pacific Crossing Guide, as well as other books. Mike had been married for 55 years to Pat (née Barton), whose father was the famous Humphrey (“Hum”) Barton who worked in the Laurent Giles office and famously sailed Vertue XXXV across the Atlantic in 1950 to prove that small boats could cross big oceans. The voyage took 47 days. The OCC paid tribute to the ‘talented naval architect and yacht designer’ who passed away on 22 November. In a statement the OCC said: ‘Mike had been a member of the OCC for 48 years, was Commodore from 1999 to 2003, and had been married for 55 years to Pat (née Barton), whose father was OCC founder, Humphrey Barton. ‘In 1999-2000, Mike and Pat led what must be the longest rally in OCC history – the Commodore’s Millennium Rally – from the UK to the Caribbean, the US East Coast, and back to the UK via the Azores. Mike and Pat were serious long-distance cruisers having visited most regions of the world on a boat designed by Mike. Tragically Pat’s step-mother also passed away just a few days later.